Here we all are, complete with our cheesiest grins! We’re not a big company, hiding behind a logo – we’re a small, local, family business. We believe that, when you choose a firm to carry out work in your home or workplace for the first time, you will definitely want to know a little bit more about their people before you make your choice – and it’s always good to put a face to a name. We NEVER hire in sub-contractors or use casual labour, so you can be sure it will be one of our team shown here who you’ll see. 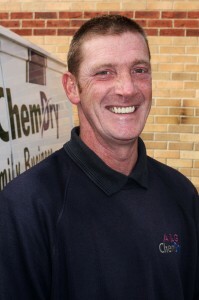 Always smiling, Brian has been a Carpet, Upholstery, Rug & Leather Cleaning Technician at A&G Chem-Dry for 17 years. 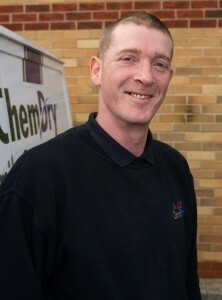 If we had to sum up Brian in just 3 words, they would be “Popular, Professional and Punctual” His stain removal talents have earnt him the nick-name “Special Ops”. Brian is a tea drinker and has now cut down from 3 teaspoons of sugar to just 2. 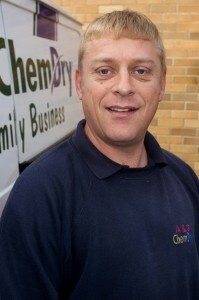 Twin brother to Brian, Barry has been with A&G Chem-Dry for 10 years. Like his colleagues, Barry is hard-working and thorough and he made a great impression on clients from the start. Barry is a great tidier and his motto is “A place for everything, and everything in it’s place!” Barry loves cake, but he’s allergic to almonds. He’s keen on gardening and at weekends can often be found “tending the land” on his family’s allotment. Mrs Warwick from Frisby-on-the- Wreake in Leicestershire was delighted with Barry’s stain removing talents recently and said ..
Stuart joined A&G Chem-Dry in 2008 after many years in the military and several tours in various parts of the world. Stuart is another cake fan with coffee and walnut his asbolute favourite, (although, strangely, he doesn’t drink coffee as he doesn’t like it!! ) Stuart loves playing – and watching – both cricket and rugby. 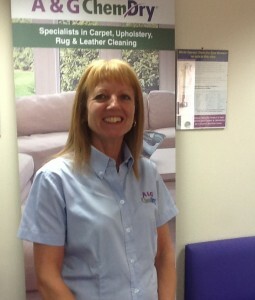 Local lady, Diane (or “Di”) is our Customer Services Administrator and deals with customer enquiries, bookings, customer questionnaires and paperwork for the technicians (to name just a few of her many tasks!) Now in her 4th year with A&G Chem-Dry customer service to Di means providing a friendly, professional and knowledgeable point of contact. As Di’s husband is very keen on home improvements, she spends most weekends either out choosing tiles or at home clambering up scaffolding! 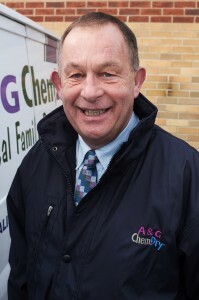 Mike says the years have just flown since he bought A&G Chem-Dry with his wife Jackie in the Spring of 1995. He says “There have been so many changes in business over the past 22 years, but delivering an excellent service for our clients has, and always will be, our top priority”. Mike loves to spend any free time in the garden, umpiring for his local cricket team and taking the dog for long walks, especially along the beach in North Norfolk. 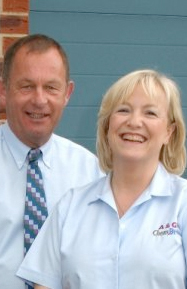 After 22 years in the business, Jackie’s enthusiasm for A&G Chem-Dry is as strong as it ever was. She takes care of marketing, payroll and admin amongst other tasks, but particularly loves opening the mail in the morning to read the latest batch of completed questionnaires from more delighted clients! 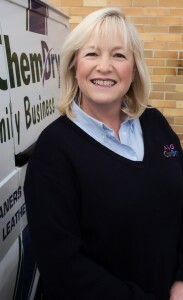 Occasionally popping us as guest on the Notts TV sofa, Jackie also likes a challenge and climbed Mount Kilimanjaro in 2011 to raise fund for Asthma U.K. She is a keen supporter of A&G Chem-Dry’s adopted local charity School for Parents. 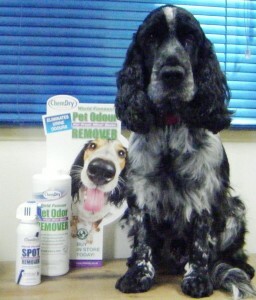 Meet Max, Media Star and Executive Director at A&G Chem-Dry. He has his own Twitter Account – and he has appeared on Notts TV As his role is an honorary post, he doesn’t really contribute a lot if we’re honest – but he IS very cute!